It’s funny how some recipes make you remember of a place, a friend or a day. The first bite will bring back long forgotten memories and that will most likely make you appreciate what you are eating even more. When I was creating this recipes yesterday, I kept thinking of my good friend Tania, as she is a huge fan of blueberry muffin. The whole house was filled with a sweet smell that made me smile. 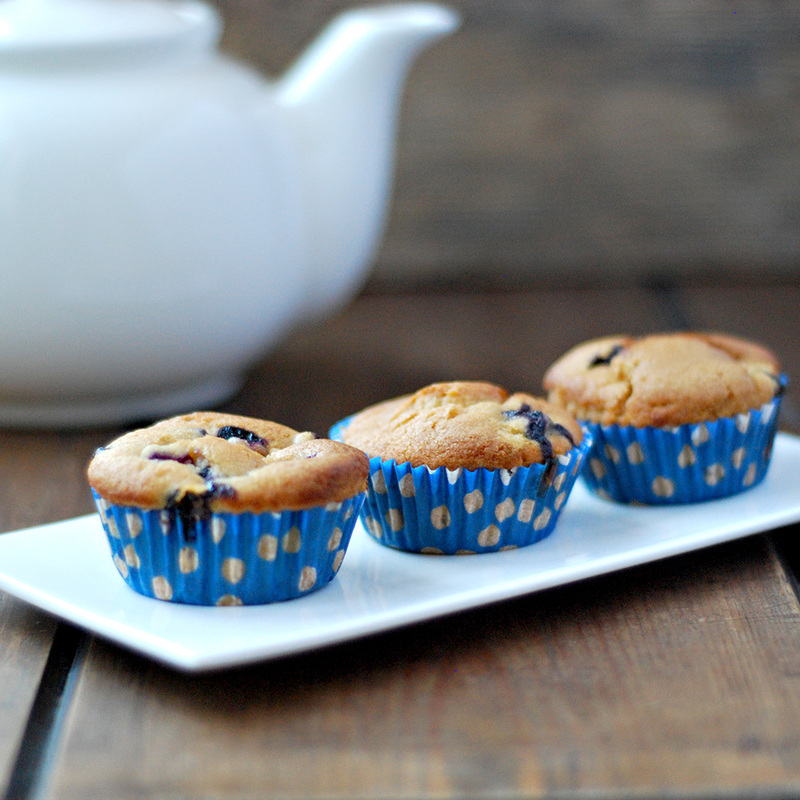 These muffins are soft, light, sweet and go extremely well with a cuppa. It doesn’t take long to prepare and it’s also very easy. I used blueberries but you can use any kind of berries you like. Give it a go, I can guarantee you’ll love it. In a large bowl stir together flour, baking powder, salt and light brown sugar. Add the almond milk, oil, vanilla and the blueberries. Spoon the mixture evenly into a greased muffin cases and bake it on muffin tin for 16 minutes at 200c or until a fork comes out clean.